We have lived for 166 years with the humble clothes peg – but now a Sligo man has been recognised for his redesign of the household accessory. IT Sligo Creative Design student Paul Roper is no stranger to inventions, having previously won an Enterprise Ireland Award for his ‘Lock-on’ invention, which allows the hitching of trailers to vehicles with a press of a button. 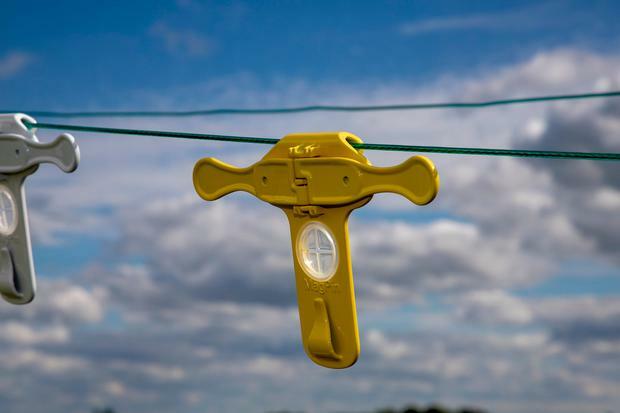 Now, after witnessing his ill mother struggling to hang washing on the clothesline, Roper has designed a clothes peg that people of all abilities can use. The peg has been shortlisted for the Institute of Designers of Ireland 2018 annual IDI Irish Design Awards and Paul is currently in talks with a major retailer and distributor with access to an international market. “This idea came from seeing my poor mother struggle with this simple task when she suffered with cancer. I hope this product will help others with similar issues,” Paul said. 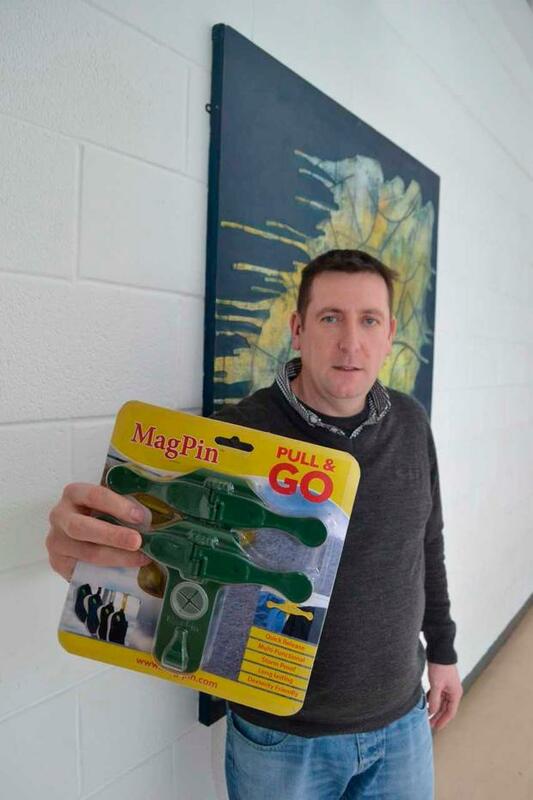 The Cliffoney local has named his invention the ‘MagPin’, short for ‘magnet pin’. The ‘T-shaped’ pin is much bigger than a peg and is designed to always be on your line. The unique design means clothes are hung from the side as opposed to being clamped on top as you would with a traditional peg. There are three different hanging methods on each ‘MagPin’, including a hole for smaller items and a hook for trousers or shoes. An added advantage is the ease in which clothes can be taken off the line when dark clouds are spotted. Sadly, the person Paul designed the peg for, his mother, passed away from cancer before seeing the final product. Paul didn’t take the traditional route in his design career – he left school at the age of 15 and took up an apprenticeship as a carpenter. When the economy slumped, Paul emigrated with his family to Canada where he worked in multiple jobs before returning to Ireland. He was also one of the best poker players in Europe and has played at some of the biggest tournaments in the world. However, Paul wanted to change his career path completely and returned to college as a mature student at the age of 43. He started studying Quantity Surveying and received his degree in QS last year. He then transferred to study Creative Design.